A Florida Circuit Court judge ruled today that a legislatively enacted ban on the smoking of medical cannabis in private by qualified patients is unconstitutional. Lawmakers in 2017 passed Senate Bill 8A — which sought to amend provisions in Amendment 2, a voter initiated constitutional amendment permitting the use and distribution of marijuana for medical purposes. Specifically, SB 8A prohibited the possession of marijuana “in a form for smoking” and barred the use of herbal cannabis except in instances where it is contained “in a sealed tamper-proof receptacle for vaping.” Seventy-one percent of Florida voters approved Amendment 2 in November 2016. Backers of Amendment 2, including the group Florida for Care and longtime medical activist Cathy Jordan, challenged the ‘no smoking’ ban — arguing that lawmakers improperly sought to overrule the will of the electorate. Circuit Court Judge Karen Gievers today ruled in favor of the plaintiffs. The Court’s opinion in the case: People United for Medical Marijuana et al v. Florida department of Health et al., appears online here. Representatives of Florida for Care filed litigation today challenging a statewide ban on medical cannabis smoking. The suit was expected after lawmakers approved legislation (SB 8A) in June amending Amendment 2 — a voter initiated constitutional amendment permitting the use and distribution of medical cannabis. Seventy-one percent of voters approved the amendment in November. Senate Bill 8A amends the definition of medical cannabis in a manner that prohibits “marijuana in a form for smoking” and that bars the personal possession of herbal cannabis flowers, except in instances where they are contained “in a sealed, tamper-proof receptacle for vaping.” The Florida for Care suit argues that these changes inconsistent with the constitutional definition of marijuana, as passed by voters, and therefore should not be implemented. Under the revised law, patients diagnosed with cancer, epilepsy, glaucoma, HIV/AIDS, PTSD, ALS, Crohn’s disease, Parkinson’s disease, or multiple sclerosis — or who suffer from chronic pain related to any of these diseases — are eligible to receive a 70-day supply of cannabis-infused oils or edible products from a limited number of state-licensed dispensing facilities. NORML has long argued against regulations that limit or prohibit patients’ access to whole-plant cannabis in lieu of cannabis-derived extracts or pills. Cannabis inhalation is not associated with increased instances of lung cancer, COPD, or other tobacco-related adverse effects on pulmonary function. Inhaled cannabis is fast acting and permits patients to accurately self-regulate their dose. By contrast, non-herbal forms of cannabis possess delayed onset and their effects can often be far less predictable than those of herbal cannabis. Many patients seeking rapid relief of symptoms do not benefit from pills, tinctures, or edibles, and such restrictions unnecessarily limit patients’ choices. If the court invalidates SB 8A, the task of writing the rules for implementing the initiative — which must be operational by October — will fall to the Florida Department of Health. According to the Associated Press, voters in Florida approved Amendment 2, an expansive medical marijuana law. The AP’s is reporting a final vote count of 71 percent to 29 percent. The Amendment required over 60 percent of the vote to become law. Amendment 2 amends the Florida state constitution so that qualified patients who possess a physician’s recommendation may legally possess and obtain medical cannabis provided by state licensed dispensaries. Under the law, a “debilitating medical condition” for which marijuana may be recommended includes is defined as “cancer, epilepsy, glaucoma, positive status for human immunodeficiency virus (HIV), acquired immune deficiency syndrome (AIDS), post-traumatic stress disorder (PTSD), amyotrophic lateral sclerosis (ALS), Crohn’s disease, Parkinson’s disease, multiple sclerosis, or other debilitating medical conditions of the same kind or class as or comparable to those enumerated, and for which a physician believes that the medical use of marijuana would likely outweigh the potential health risks for a patient.” The home cultivation of cannabis is not permitted under the law. Existing Florida law restricted limited qualifying patients only to high CBD strains of cannabis, unless they were terminally ill.
Department of Health regulators must begin issuing patient identification cards within nine months of the new law’s enactment. You can read the full text of Amendment 2 here. In less than five days, nine states will be voting on marijuana related ballot proposals potentially doubling the number of states that allow the recreational use of marijuana and expanding the therapeutic benefits of marijuana use to millions of Americans. Here’s where these measures stand in the latest polls. Arizona: According to an October Arizona Republic/Morrison/Cronkite poll, 50 percent of registered voters in Arizona favor Proposition 205 and 42 percent oppose it. The Regulation and Taxation of Marijuana Act allows adults twenty-one years of age and older to possess and to privately consume and grow limited amounts of marijuana (up to one ounce of marijuana flower, up to five grams of marijuana concentrate, and/or the harvest from up to six plants); it creates a system in which licensed businesses can produce and sell marijuana; establishes a Department of Marijuana Licenses and Control to regulate the cultivation, manufacturing, testing, transportation, and sale of marijuana; and provides local governments with the authority to regulate and limit marijuana businesses. According to recent October polling by Survey USA, 54 percent of likely voters support Proposition 64 and the measure “now appears positioned to become law.” For more information on the ballot proposal, please visit the AUMA website. Florida: Voters in Florida are getting their second chance at passing an expansive medical marijuana law this election day. In 2014, 58 percent of voters approved Amendment 2, however because state law requires a super-majority (60 percent of the vote) for constitutional amendments to pass, the amendment was narrowly rejected. It looks like this election will have different results though, with 71 percent of Floridians saying they will vote ‘yes’ on Amendment 2 according to an October poll by Saint Leo University. Passage of Amendment 2 would permit qualified patients to possess and obtain cannabis from state-licensed facilities. Maine: Hoping to bring legal recreational marijuana use for adults to the east coast, Maine is another exciting state to watch in the upcoming election. 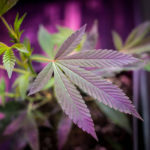 If enacted by voters in November, Question 1 or the Campaign to Regulate Marijuana Like Alcohol Act would allow adults to legally possess up to two and one-half ounces of marijuana and to cultivate marijuana (up to six mature plants and the entire yields of said plants) for their own personal use. The measure would also establish licensing for the commercial production and retail sale of cannabis. Retail sales of cannabis would be subject to a ten percent sales tax. Non-commercial transactions and/or retail sales involving medical cannabis would not be subject to taxation. Among likely voters, support for Question 1 leads by a margin of 50 percent to 41 percent, according to an October UNH Survey Center poll. Montana: Voters in Montana are also faced with an important marijuana related ballot decision this election day with Initiative 182. I-182 expands the state’s medical cannabis law by repealing the limit of three patients for each licensed provider, and by allowing providers to hire employees to cultivate, dispense, and transport medical marijuana. I-182 repeals the requirement that physicians who provide certifications for 25 or more patients annually be referred to the board of medical examiners. I-182 removes the authority of law enforcement to conduct unannounced inspections of medical marijuana facilities, and requires annual inspections by the state. However, the measure is presently trailing in the polls. According to an October poll, commissioned by Lee Newspapers, 44 percent of voters approve of the measure while 51 percent are against it. Nevada: Nevadans will also be facing the decision on whether or not to legalize the adult use and regulation of marijuana on Tuesday. Question 2, if passed, would permit adults to possess and grow personal use quantities of cannabis (up to one ounce and/or six plants) for non-commercial purposes. The measure also regulates and taxes the commercial production and retail sale of cannabis. It states, “The People of the State of Nevada find and declare that the use of marijuana should be legal for persons 21 years of age or older, and its cultivation and sale should be regulated similar to other businesses.” According to an October poll commissioned by the Las Vegas Review-Journal, voters favor the measure by a margin of 47 percent to 43 percent. Massachusetts voters appear poised to enact Question 4, which allows adults 21 years of age and older to possess up to one ounce of marijuana outside of their residences and up to 10 ounces of marijuana in an enclosed, locked space within their residences. A just-released Western New England University Polling Institute survey finds the measure leading 61 percent to 34 percent. Recent polling from Arkansas finds voters narrowly approving Issue 6 to regulate the use of medicinal marijuana by qualified patients, while no current polling is available regarding the passage of a similar measure in North Dakota. For a summary on all pending ballot proposals, as well as to see the latest videos from each of the campaigns, visit our Election 2016 page. Do you have election night plans? If you want to follow all of the marijuana ballot proposals being voted on check back in with us on our homepage Tuesday evening where we will be LIVE updating the results as they come in! We’ve teamed up with our friends over at cannabisradio.com to stream their live election night coverage as well and we hope you’ll join us!